Coaches, with just a few simple dribbling tips, you'll start to see huge improvements in individual player and team performance. Dribbling the basketball under control and with a purpose is one of the most important fundamental skills of the game. Excessive dribbling is a bad habit. And it's so common among those just learning how to play basketball. The player catches the ball. And, like dropping a hot potato, they immediately put it on the floor. Head goes down. Eyes go down. And off they go. Without a plan. No idea where teammates are. No clue where the defenders are. By not taking a second to look first, players often dribble their way into trouble. That's not only bad basketball. It's selfish basketball. And it's a recipe for disaster. 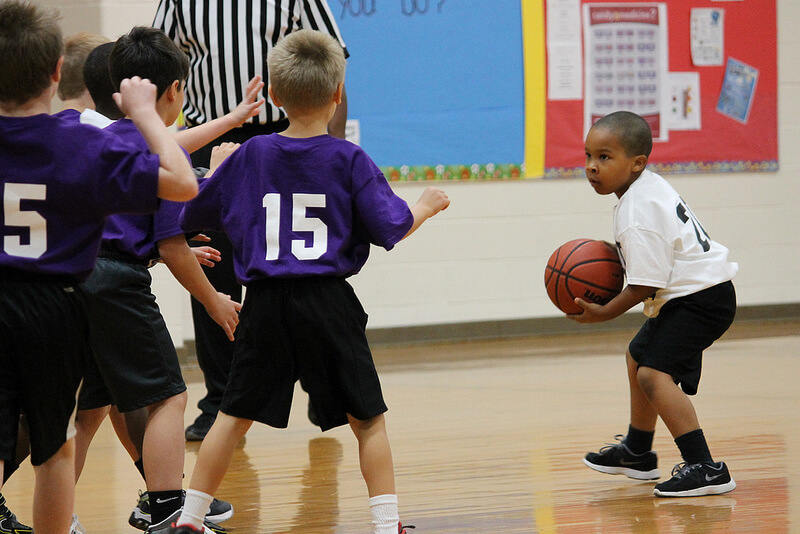 Teach your kids to play smarter basketball and make better ball handling decisions. 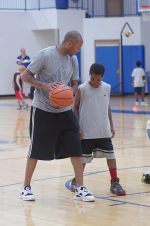 Help them learn the right time and the wrong time to dribble the basketball. So, one of the first tips on dribbling to pass on to your players is this: Before putting the ball on the floor, LOOK! Protect the ball, keep the head up, and look around to see what's happening on the floor. Players will be surprised to see the teammates or shots that are open. Passing is no doubt much quicker and more efficient than dribbling, but there are times on a breakaway where the dribbler is the first person down the floor. Dribbling down a wide open court for a layup is smart basketball. But if defensive pressure comes or teammates sprint ahead down the floor, look to pass the ball ahead. At times, when the defense is applying tough pressure, it's necessary to put the ball on the floor so you can change direction and move by your defender. Standing and holding the ball while being swarmed by defensive arms and hands is tough to deal with. Using a control dribble to back out of pressure or a jab fake to step by the defender are examples of smart times to use a dribble. A word of caution though. Trying to dribble in a crowd of defenders is not advised. There are too many hands around to steal the ball. If you're surrounded by players, that means a teammate must be open. Following a steal or a good offensive move, you may find there's no one between you and the goal. If you see you have a direct line to the basket, it's a good time to take it to the hoop and score. Offenses can get stagnant without player movement. Sometimes, it's smart to put the ball on the floor to make the defense adjust and create some openings. By attacking the basket, the defense is forced to move. The result can be an open shot for you or a teammate. Sometimes the defense takes away all of the passing lanes. No one is open. By taking a couple of dribbles, it's possible to create a better passing angle and open up a passing lane. But be careful about over-dribbling or dribbling too close to a teammate and clogging things up.